This is a very large Chocolate Brown Grosgrain Hair Bow. Looking for that Big Bow Status? Well this is your bow! 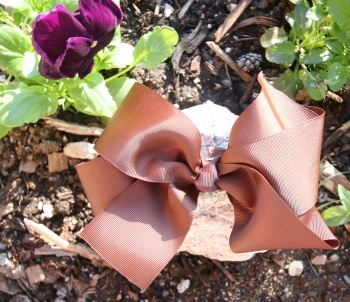 This is a Big Bow that will look great with any outfit. If she likes big bows she will love this bow.